2017 is the third year that I am choosing “One Little Word” as my guide and focus for the year. This is a brilliant idea that my friend Marina at Mindful Memory Keeping introduced to me. Ali Edwards came up with the concept of choosing one word to meditate and focus on each year, instead of a long list of resolutions. Shenpa is a Tibetan word meaning ‘trigger’; it’s a catalyst that starts you moving down a habituated path. I learned about shenpa from Pema Chodron, who credits her teacher, Ziger Contril, for teaching it to her. Pema describes shenpa as an itch. A terrible itch and an urge to scratch. But, of course, scratching is bad for us. It doesn’t lead to relief but rather more scratching, and pain. For me, this feels like suddenly waking up eight miles into a 10 mile race that I don’t remember starting. I become conscious of my exhaustion, shortness of breathe, clammy skin, sweating, steaming and overheating. I am running for my life and I can’t stop…I am wondering – why am I running? How and when did I start running? How do I stop? Pema teaches the idea of shenpa along with the habit of distraction – the repeated practice of taking yourself away from the present because its emotions are too scary. AKA ‘flight.’ We think about or do other things in order to move away from the present; escape reality. Some people distract themselves with alcohol or drugs. Some people use work to escape. In part, I use anxiety to keep myself away (safe) from things that scare me. I hide in a swirling tornado of never-ending thoughts that prevent me from dealing with the issue/situation/people at hand. Anxiety and obsessive worrying prevent me from making decisions, taking action and interacting with others. Shenpa, or, the trigger, hooks us into a habit and we get stuck performing an action that we know is harmful. We’d like to change it but we don’t know how. The reason that so many techniques for correcting our behavior fail is that they walk us through a multi-step process, starting at number one. This makes perfect sense on paper but it doesn’t work in real life because we don’t consciously start at number one. In real life, we become aware of the negative habit somewhere after step number 3 in a 10 step process. Often we don’t remember when or how it all started. At some point, a gun went off; a starting pistol that sent us, automatically, flying down the track. This response is built into our muscle memory. Our nervous system. 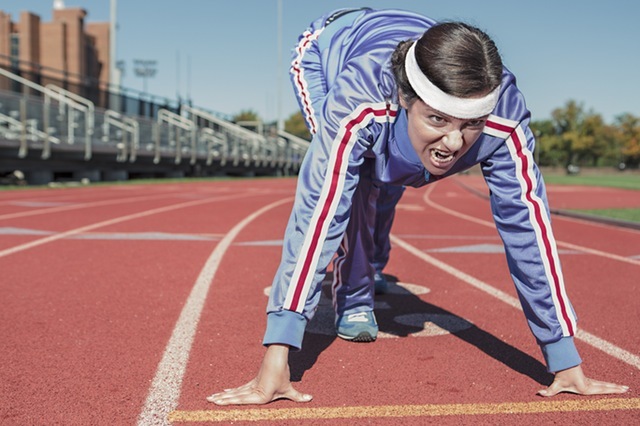 You don’t even realize you are running until you are about halfway around the track and by this time the gunshot is forgotten and you have no idea why you are running. The key to changing a pattern is to hear the starting pistol. If you can identify what catapults your behavior, then you can begin to change that behavior. Choose a different reaction. The bang of the starting pistol is my brilliant (heehe) analogy for shenpa. I will practice hearing the starting pistol that sends me running into anxiety. I will work on identifying the triggers that send me fighting and flying and freezing. For me this is a process of working backwards. In a 1-10 step fight or flight race where 1 is the starting pistol, or shenpa and 10 is the finish line where I finally start to relax and decompress, I may realize I am running at about step 7. Then I have to retrace my steps/thoughts to try and discover what the trigger was. The sooner I can “catch my shenpa” the better. When I start identifying the trigger at step 3 instead of step 7, for example, that is awesome and I work through the whole process and get back to baseline a lot sooner! 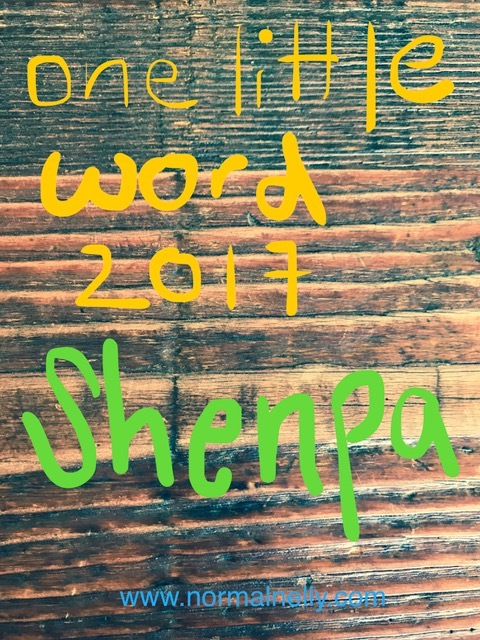 In 2017…I’m going to catch my shenpa. Thank you Pema. You Rock.